Every kitchen has some great items for conditioning your hair and make them silky and shiny. Egg yolk, honey and mayonnaise are great for deep conditioning. A paste of two and three egg yolks and honey applied for 15-20 minutes is an awesome way to naturally condition your hair. * Conditioning for dry hair: Every kitchen has some great items for conditioning your hair and make them silky and shiny. Egg yolk, honey and mayonnaise are great for deep conditioning. A paste of two and three egg yolks and honey applied for 15-20 minutes is an awesome way to naturally condition your hair. * Dandruff control: Dandruff troubles many of us. It makes the scalp itchy and it simply looks hideous. Lemon, vinegar, amla, honey are great for natual dandruff control. A paste made of a lemon squeeze, a dash of apple cider vinegar with some amla powder can be massaged on the scalp and left for 15 minutes to get rid of that stubborn dandruff. * Oily hair: If your hair becomes oily just a day after wash, try a vinegar rinse before shampoo. It is really effective in washing away that extra oil. * Hair loss: Onion juice, ginger juice and castor oil (diluted) are irritants and are scientifically proven to be beneficial in hair loss problem. Also, two or three times per week use of onion juice on the scalp will reduce your hair fall. * General care: Avoid hot drying, use cold water to wash hair, use sulphate free and pH balanced shampoos, use a broad toothed comb, avoid combing in wet hair. * Diet: a balanced diet is extremely important to have healthy hair. Protein rich, low dairy and low carbohydrates is the mantra. Good iron intake (spinach, apples, pomegranate) is very important. * For dry hair, one should apply a generous amount of oil on a regular basis and massage it before washing the hair. 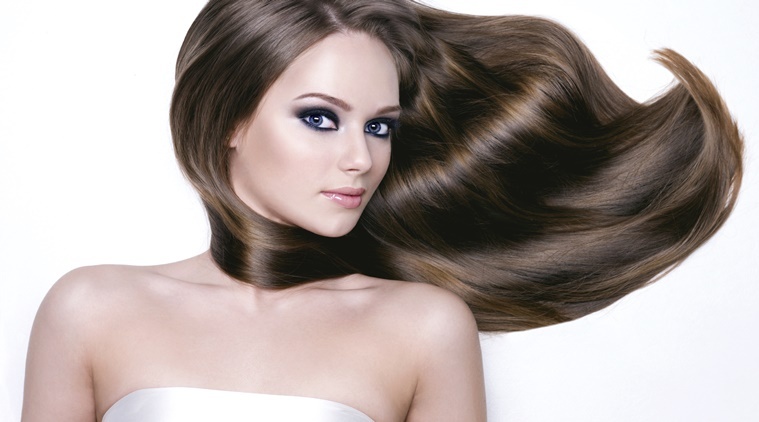 Dry hair is rough to touch and more prone to tangles, damage and split ends. Thus they should be taken care of, nourished and conditioned properly. One can also use some natural DIY (Do-It-Yourself) hair masks. A mix of castor oil, almond oil, glycerine, vinegar, protein powder and sandalwood oil can do wonders in bringing out that natural shine.